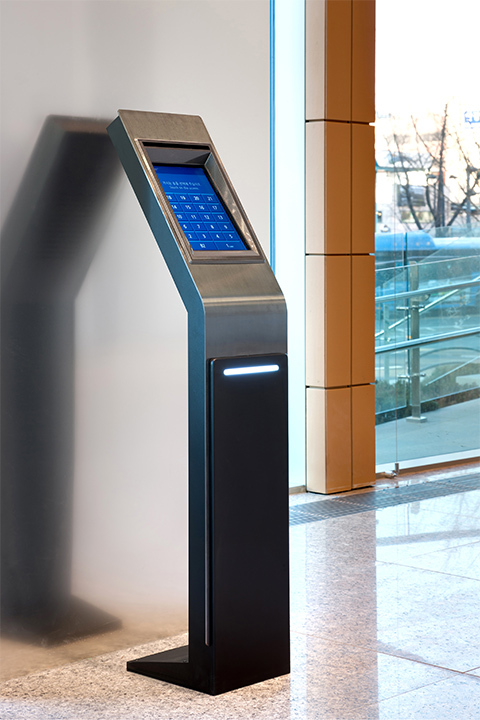 HELIAS is a smart access system that elevate the quality of life within buildings. The 2012 iF Design Award winner system is a manifestation of our approach to facilitate life while protecting the environment and the economy. HELIAS offers fast, stress free and easy indoor circulation through optimized user traffic management. It decreases riding duration by 35% and waiting period by 25% hence preventing overcrowding in building lobbies. HELIAS also maximizes energy efficiency. - Users indicate their destined floor before they enter the elevator through the screens located on the floor. - HELIAS calculates user traffic instantly and groups passengers according to their targeted floor. - The smart screen guides the passengers to the best-fit elevator cabin which would minimize their waiting and riding duration.